Cook UNCLE BEN’S(R) Ready Rice(R) Jasmine according to package directions. Brown ground chicken in a large non-stick skillet over medium heat, about 10 minutes. Drain and return chicken to skillet. Add stir fry sauce to chicken, along with celery, green onions, grated carrot, and water chestnuts. Stir to combine over low heat until just heated through, about 5 minutes. 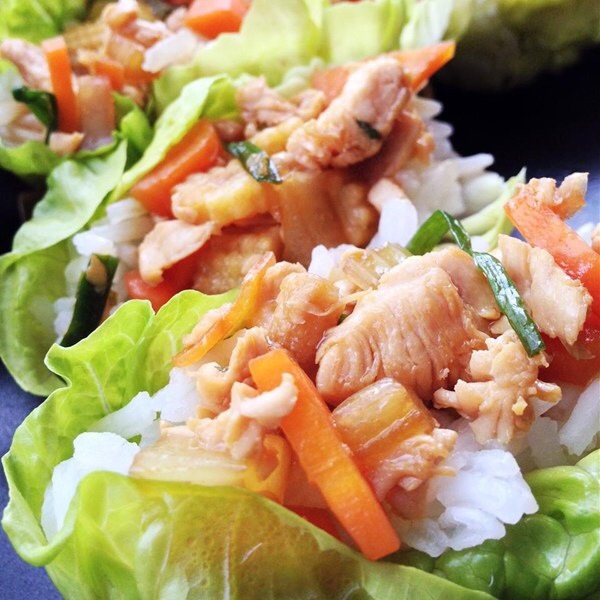 Fill each lettuce leaf with a scoop of jasmine rice and top with a scoop of chicken mixture.